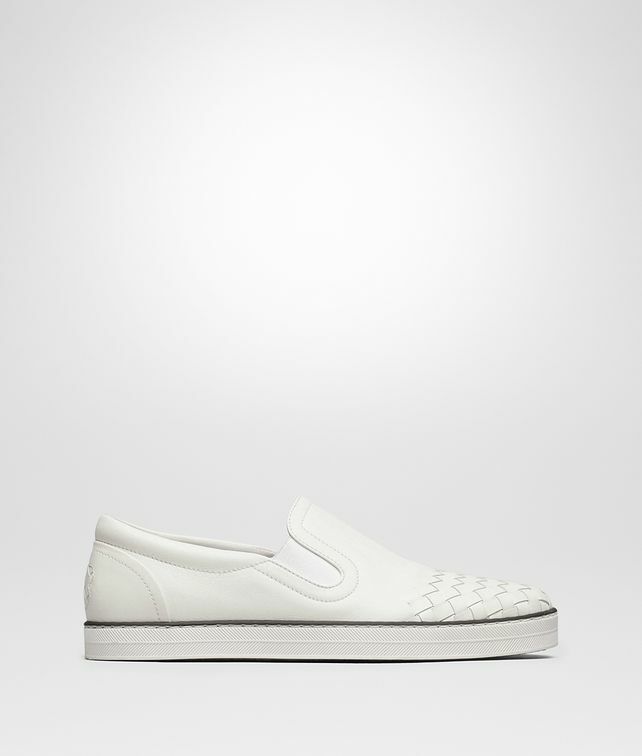 Sporty and sophisticated, these signature slip on sneakers feature a smooth leather upper, offset with an Intrecciato detail on the toe. The slim rubber box sole is embellished with an engraved chevron pattern and a contrasting colour trim. Flexible stretch inserts ensure a comfortable fit. Personalised with the signature butterfly logo in Intrecciato on the heel, this style works perfectly with workday and weekend styles alike.